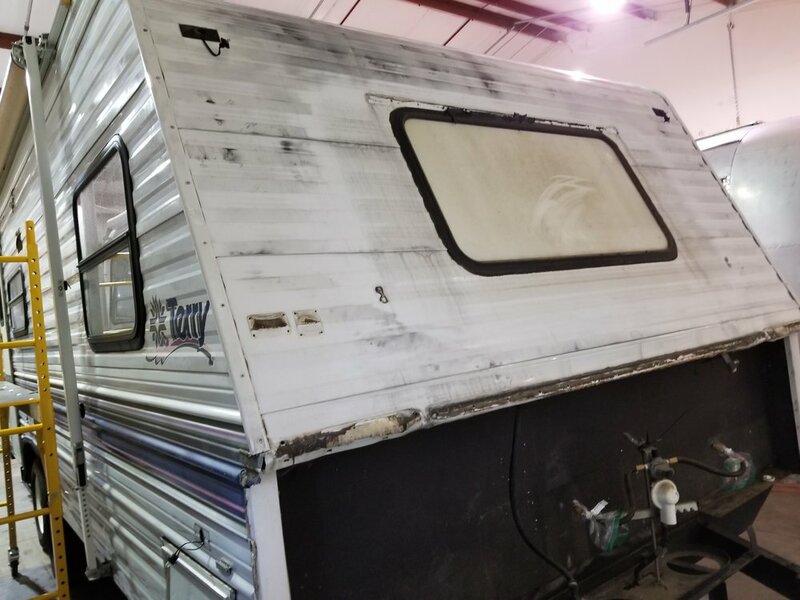 We got this 1977 beauty brought in to us by a client for a completely customized restoration of the interior as well as a polish that always really make these Airstreams look amazing. We have been looking so forward to the final look for some time now and were very happy with the way it turned out! See for yourself! The first thing that had to be done was the white paint and flooring - once we had that tackled, it was time to get started on building the interior according to client preference. 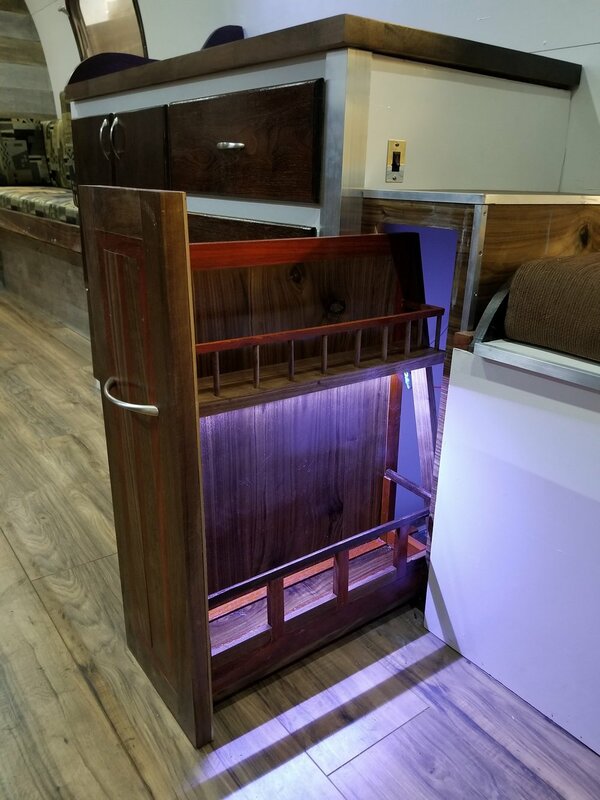 We were especially excited to use our CNC router to do some lights and accent custom woodwork on this one that looked unique and beautiful! We found this rare beauty locally here in town and just absolutely had to have her! She had such a great vintage look and a lot of her amenities and cabinetry was all original. We really lucked out on this amazing find! 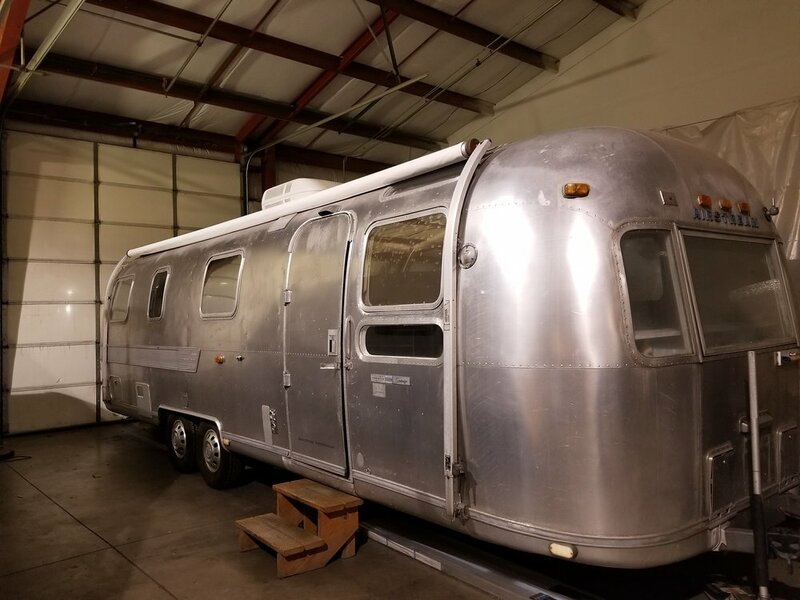 This Airstream was in such great shape when we got her, it really didn’t take much for her to shine! We did a polish job, used a tiger wood floor to replace the carpet, and touched up the vintage cabinetry to really make it stand out. One of our favorite details on this “makeover” was the polished end caps on either end of the interior! It grabs your attention and a little soft light makes it look classic. This one will always be one of our favorites! 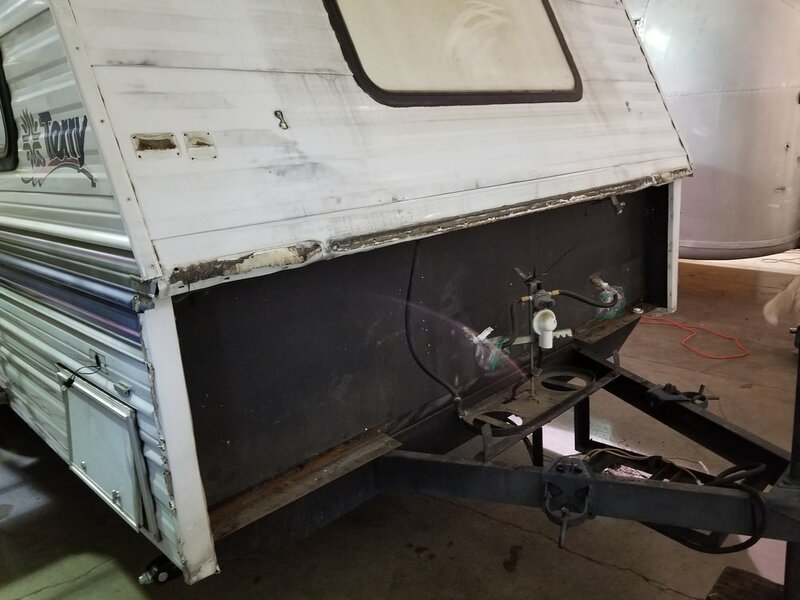 SamSon’s did a complete rebuild and paint job on this 1965 Security trailer. The exterior skin seemed to be in fairly good condition, however upon further inspection of the interior, much of the wood frame was full of rot. It was in desperate need of a rebuild with a skin-off restoration in addition to a paint job. The complete build of the interior of a trailer, especially a canned ham style like this one, can be tricky when it comes to those curves. Everything thankfully came together just right and we were really happy with the interior and couldn’t wait to start building the inside! 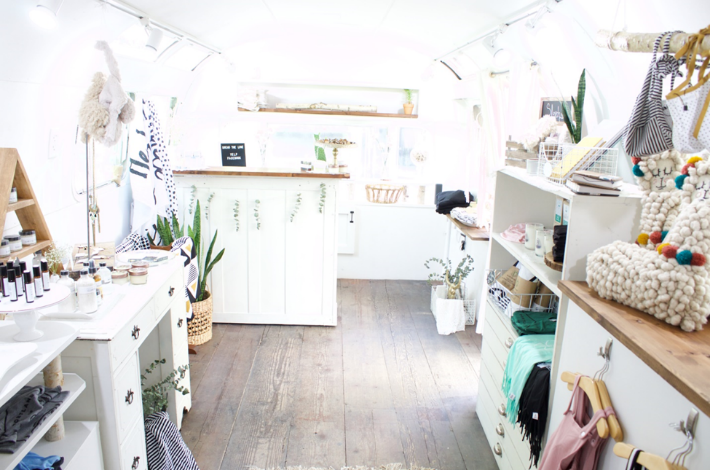 A lot of blood, sweat and tears were poured into this trailer to really make it shine and look amazing, and boy did she! It’s always rewarding to see the final look of every trailer we do and it will never get old! SamSon's has fully restored this vintage Aladdin. 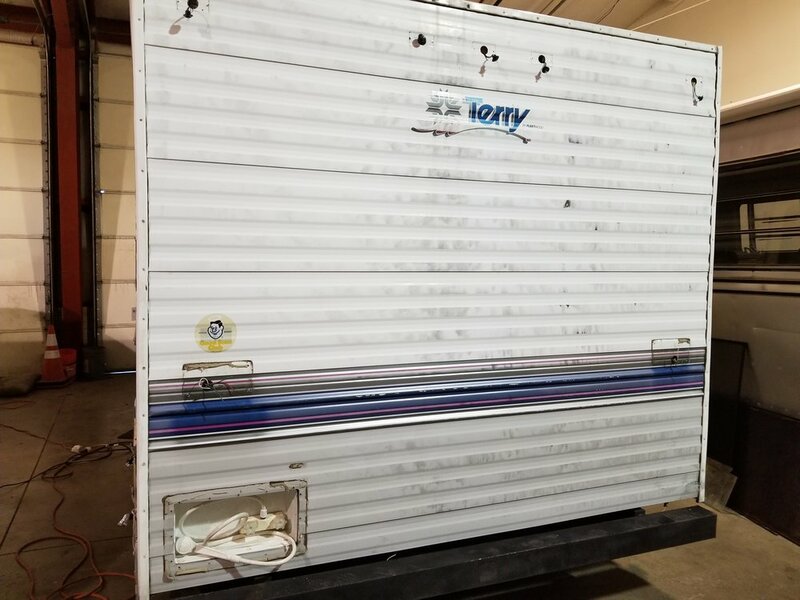 The exterior skin was in fairly good condition, yet there was evidence of leaks, mold, rust, and rot within the wall system of the trailer. It was in need of a classic "skin-off" restoration. This work provides a unique opportunity to see the wear and tear these trailers endure over the past, say in this case, 54 years. Regardless of how they are cared for or where they are stored, the wood degrades. It's a natural material and rot is a natural process that slowly degrades the structural integrity of these vintage canned ham trailers. The owners wanted the layout to stay the same but with a few modern touches. We installed a new floor, laminate counter and dinette table, freshly painted the vintage appliances and the exterior, added new cushions, and re-built all of the built-ins. The final touches made for a strong and beautiful trailer! This 64' Aladdin came to us from clients who mostly wanted some cosmetic modifications. They wanted a new exterior paint job and for the interior to be re-sealed and cleaned up a bit. SamSon's also worked on the interior electrical and some of the water system. New upholstery brought it out of the 60's and made it current. 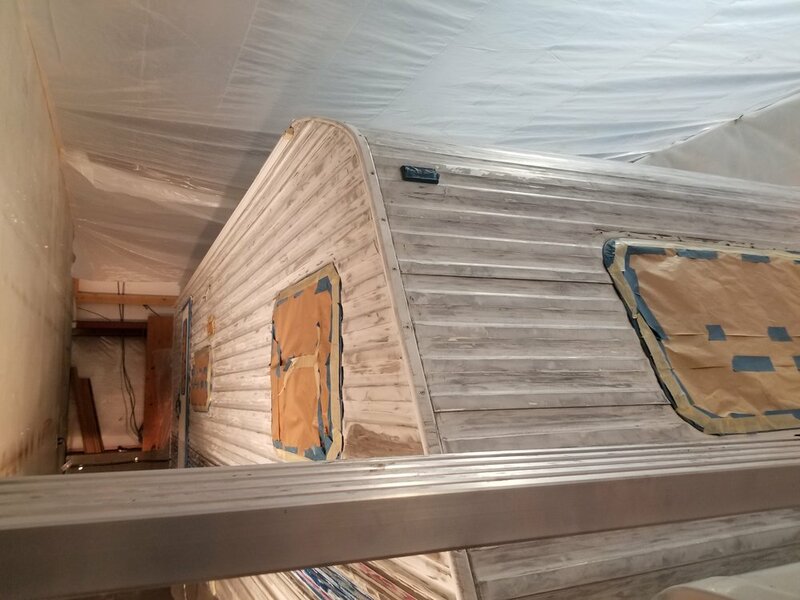 The completed photos reflect a vintage trailer that's been restored to still showcase its originality, yet is now preserved for years to come. The 78’ Sovereign came to us as a conversion project. The client wanted us to restore the Sovereign and convert it into her permanent dwelling. It was previously renovated into a boutique in 2014, however without having a trained eye, leaks in the body and poorly sealed windows were overlooked. Typically, we request “inspiration” photos from our clients so that we can align with their preferred aesthetic. In the case of the 78’ Sovereign, our client’s taste was similar to how it looked as a boutique, so we were able to stick with the white walls and reclaimed barnwood floors. 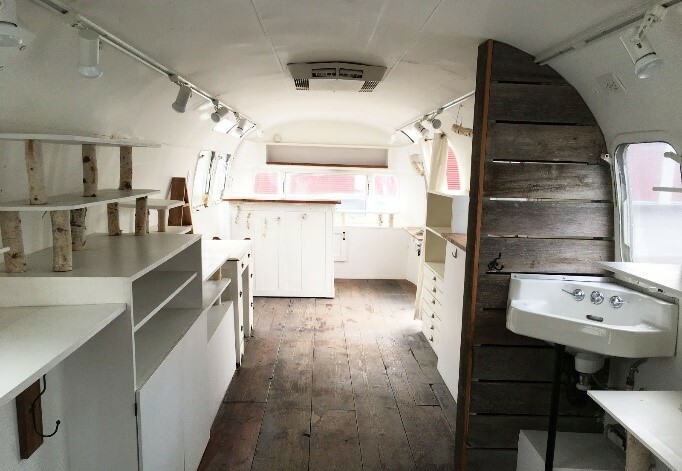 Everything else was overhauled, including the layout, plumbing, lighting and electric, etc. It was important to add storage at every opportunity since the 78’ Sovereign would be a home. 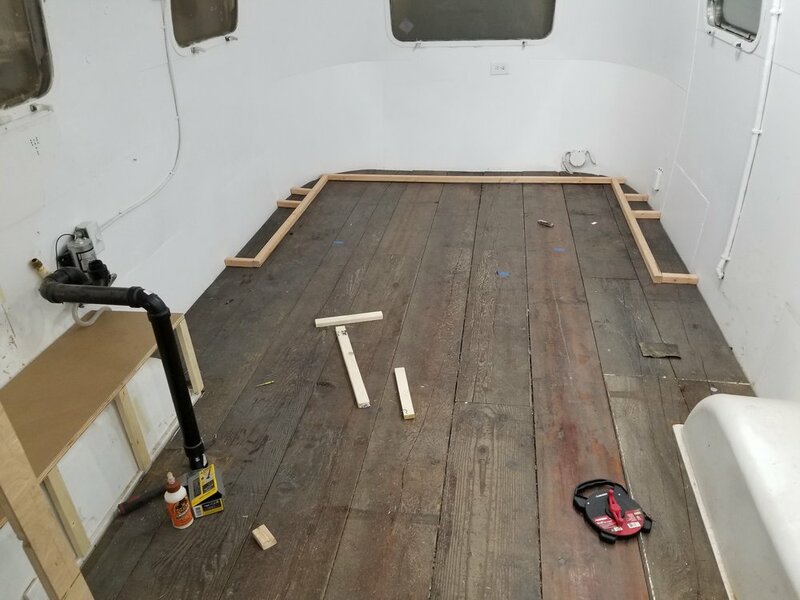 This included building a SamSon’s custom bed frame with extensive storage and hydraulic bed lift, as well as lots of cabinets and drawers. 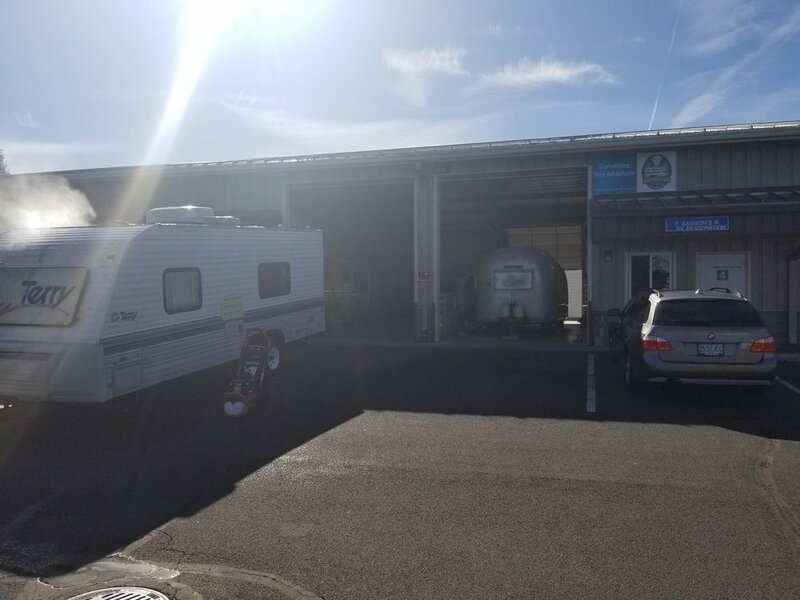 When living small it’s important that every belonging has a home and Airstreams are fun with lots of small opportunities for storage and shelves. We always keep the next life the restored trailer will have in mind. In this case, the 78’ Sovereign is now a permanent home with constant water and electrical hook ups. We customized it accordingly, with a 24” x 48” stock trough for a bathtub, Nature’s Head Composting toilet, large farm sink, vintage looking under-counter fridge to save on surface space, a 20” gas oven/stove combo, and custom butcher block counter tops. 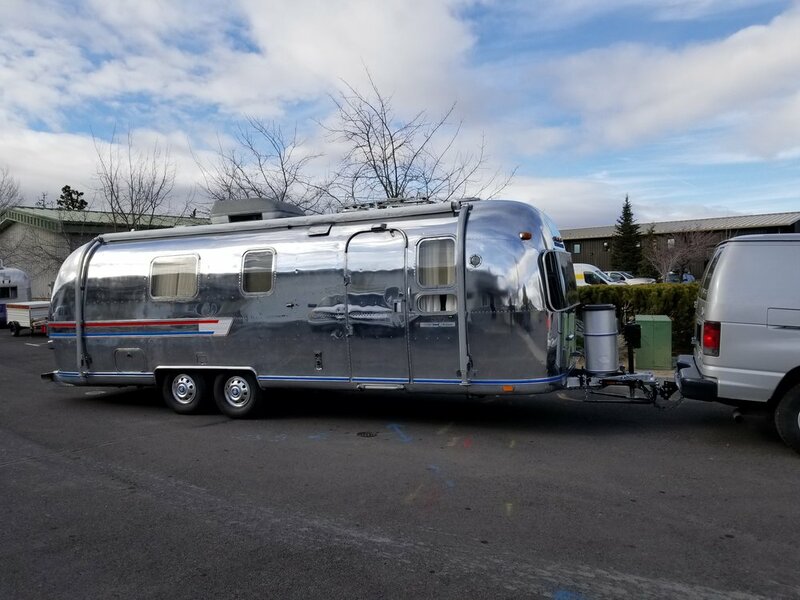 This 78’ Airstream Sovereign now lives in Portland, OR as our client’s home and used in a new way. 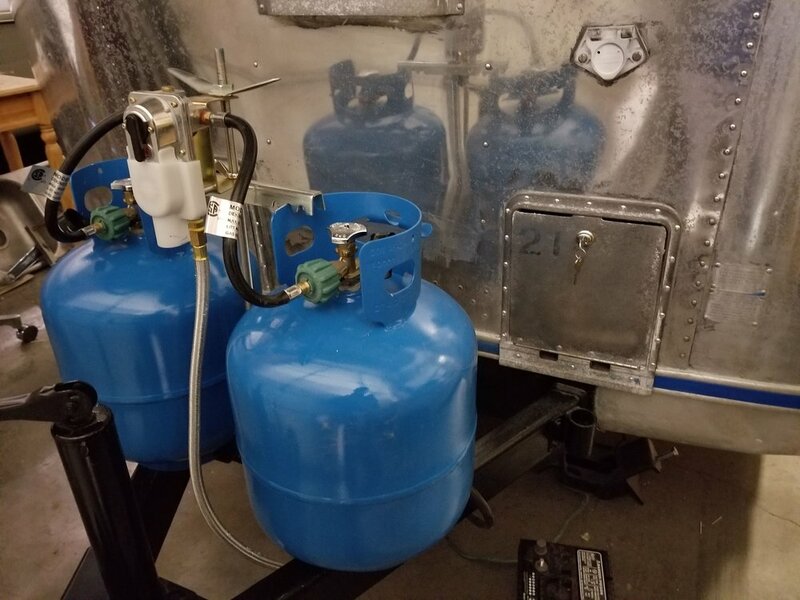 At SamSon’s we pride ourselves on quality workmanship, and love that we are able to reclaim something old and give it a whole new life and journey. This 1969 Silver Streak beauty was a SamSon’s complete shell-off restoration. 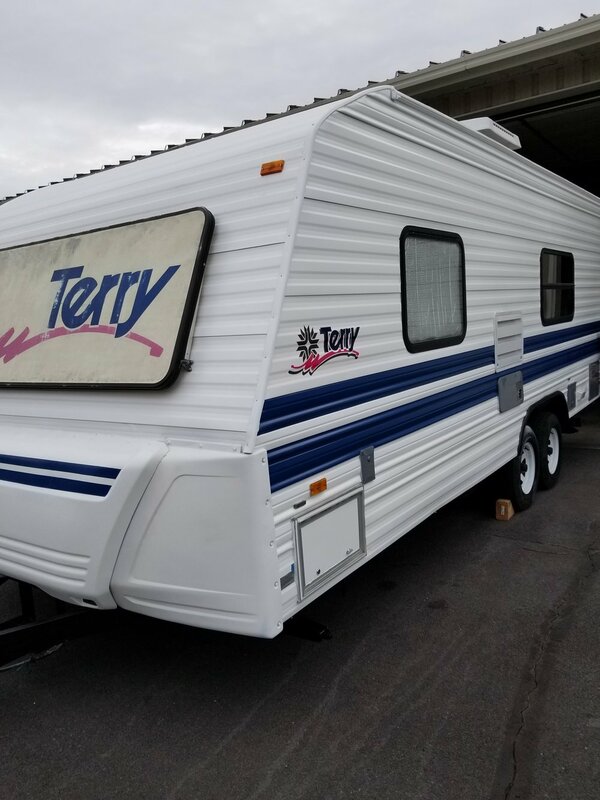 This was first intended as a DIY project for the client but once it became too much we were able to step in and help her have a beautiful trailer she loved! This one was in great need of some TLC so we gave it a completely new floor, underbelly and interior build that really made our client happy! To top it off, we gave it polish that really made it shine and brought the entire restoration together! We are very proud of this one! 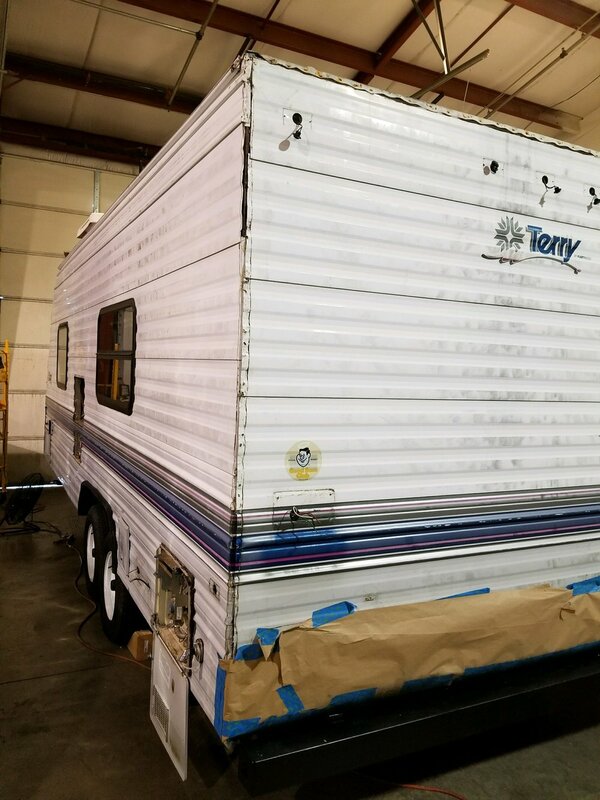 Client Restoration: This well-built 1995 50th anniversary edition came into us for roof and seal maintenance in addition fresh coat of paint to make her shine! 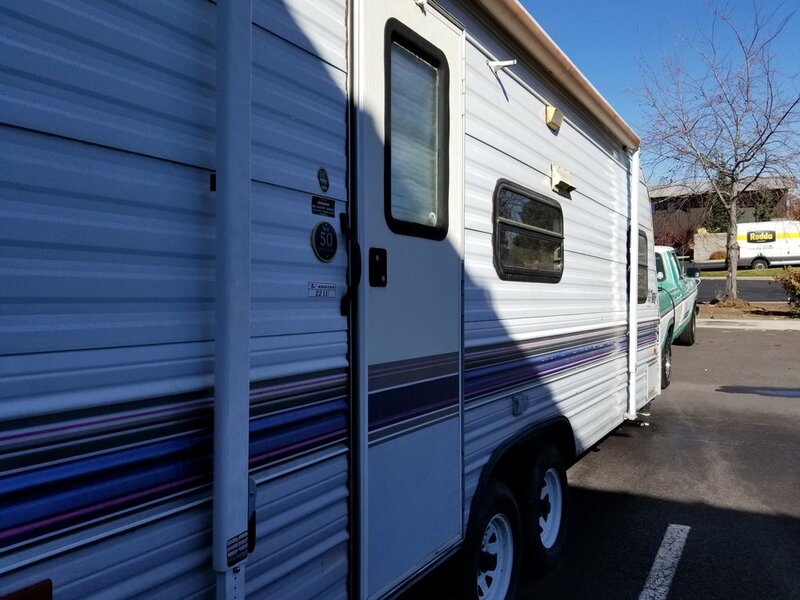 SamSon's Restoration: We were not able to complete the restoration before this beauty left us for a good home in Northern California. 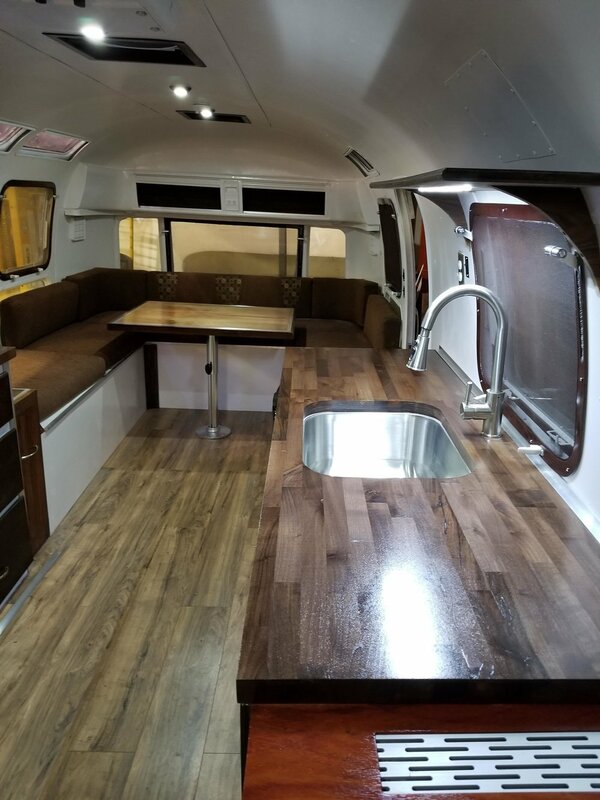 Client project: This awesome Airstream was in for some basic interior and plumbing restorations and a beautiful SamSon's polish! It's hard to miss this bad boy anywhere it goes!